← CFFA3000 for Apple II: Look Ma, No Disks! 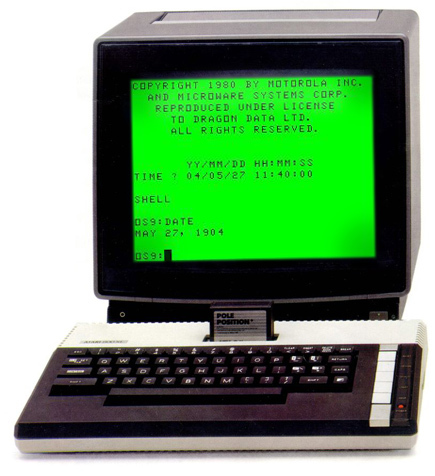 Regular readers might recall a post a few months back that (in, sadly, not the ideal fashion) revealed my acquisition of a Tandy Color Computer 3 system in order to spend some time with a platform I knew only through fun, long-ago sessions fiddling around in Radio Shack down at the mall while my mom was shopping. 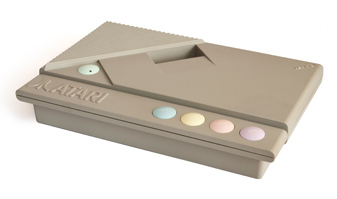 Making this move, I’ve been spending time on the web gathering info about the platform, which lead me to one of the most interesting retrocomputing projects I’ve ever heard of. On the AtariAge forums early this year, I found a thread detailing the intention of a fellow named Boisy Pitre to take the heart of the CoCo, the 8-bit Motorola 6809 processor — arguably the most capable 8-bit processor ever created — and place it into an Atari 8-bit system and get the powerful NitroOS-9 operating system running on that hardware. Boisy, who had fun with the Atari VCS as a kid, regretted never getting into the Atari home computers, and became intrigued (quite a while ago, as it turns out) with the notion of a machine with the Atari’s powerful ANTIC and GTIA chipset (thanks much, Jay Miner), driven by the 6809 processor, a more powerful unit than the system’s standard 6502 CPU. Determined to try and perform this brain surgery himself, he headed over to eBay and grabbed an Atari XEGS — an interesting choice, Atari’s attempt at turning their 8-bit home computer into a console — along with a keyboard and some carts. After de-soldering the 6502 and ROM chip and replacing them with sockets, Boisy posted his intentions to the forums and asked for a few pieces of advice to get started. I recall reading the post and thinking it was a rather interesting concept, but that it was much to ambitious to realistically pull off. I didn’t think the effort would get very far at all. Boy, was I wrong. In just three months, Boisy, with the help of a number of individuals in both the Atari and CoCo scenes, managed to go, step-by-step, from a crude, initial wire-wrap prototype and a few lines of test assembly code to a final production board with firmware that lets you boot right into NitrOS-9! I find the success just incredible. 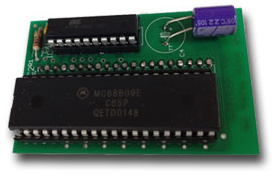 The board houses both a 6809E and the Atari’s own 6502C, letting you switch between normal Atari operation and 6809 mode on any Atari XL, XE, or XEGS computer. With an SIO2PC adapter cable and the DriveWire 4 server software (which I’m using with my CoCo 3, incidentally), you can boot up the Atari port of NitrOS-9, load applications, and experiment with 6809 assembly on the Atari. The device is known as the Liber809, and you can order it online right now, for just $65. A few months back, Boisy setup liber809.blogspot.com, a blog to chronicle his progress, and it’s a fascinating read — head on over and start at the end. The whole thing makes me want to pull my 800XL off the shelf and transform it into this new, chimeric platform! This is some truly awesome bull-geek type goodness but, for me, there’s an interesting side-note to it all. I mentioned, earlier, that my first post talking about getting into the CoCo scene wasn’t the happiest sort of post to make. In short, I effectively got swindled as I tried to gather hardware to get my CoCo 3 up and running, and in posting my ordeal as a warning, I offended a few members of the CoCo community, as the individual in question is a long-time person-of-note in that community (who I think just let things get out of control with his business). Many CoCo users out there showed sympathy and support for my situation, and none more so than Boisy Pitre. He offered me sound advice and alternatives to help me get up and running with my new system and has been very gracious. I came to learn that he is quite a CoCo scene personality and that he runs Cloud-9, an on-line store supporting the CoCo that is a major force in the current-day scene. I actually had a chance to meet up with Boisy out at WWDC 2012 in San Francisco, back in June. We chatted for a little while at the TouchArcade Mixer and I can tell you he’s just about the nicest fellow you could ever meet. And, the funny thing is, it’s only in the past week that I realized that he is “the Liber809 guy.” If only I’d known when we met up! I would’ve asked him all about it. Ah well, maybe at WWDC 2013. I’ve really enjoyed following the Liber809 project and I hope that both of my regular readers find it as fascinating and inspiring as I. And, stay tuned for more — Boisy never intended to stop with the Atari; he’s got other computer brain transplants in mind, and it sounds like the C64 is next on the list. Strong work, Boisy. Atari XEGS image used courtesy of Adam Jenkins. This entry was posted in Atari, Tandy / TRS-80. Bookmark the permalink.